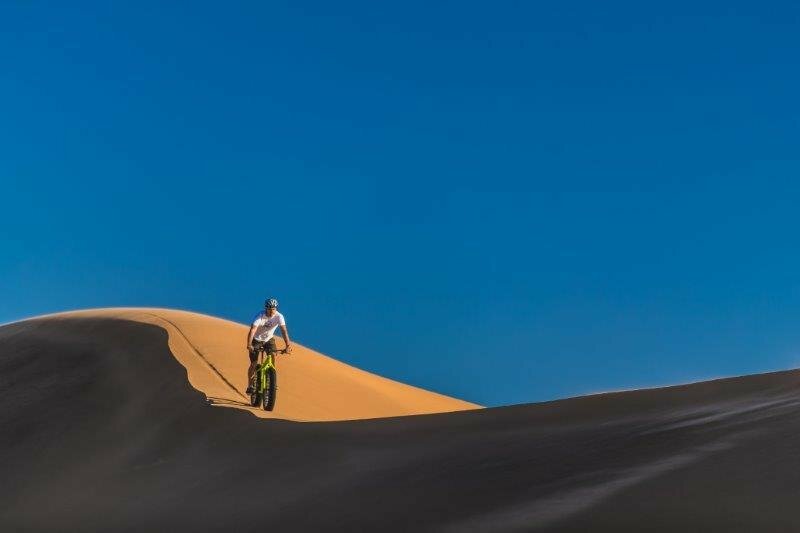 Join us on an unforgettable and unique ecological Namibian cycling experience in and around the charming historic town, Swakopmund. 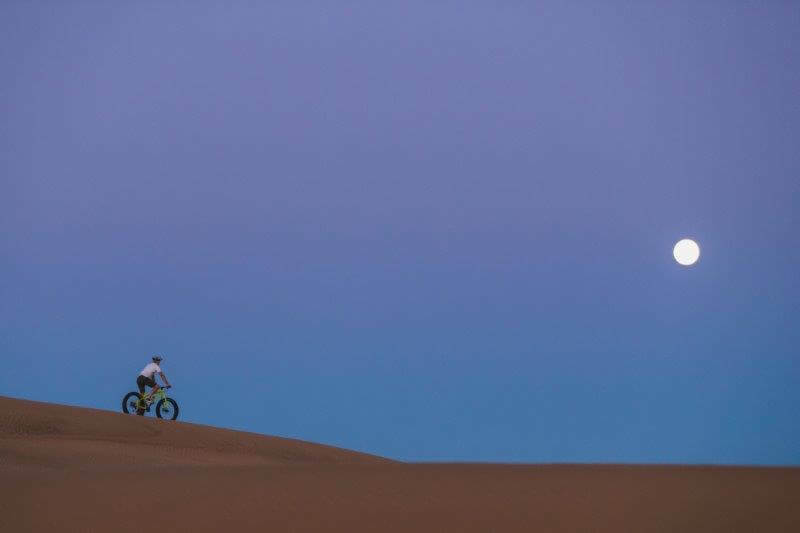 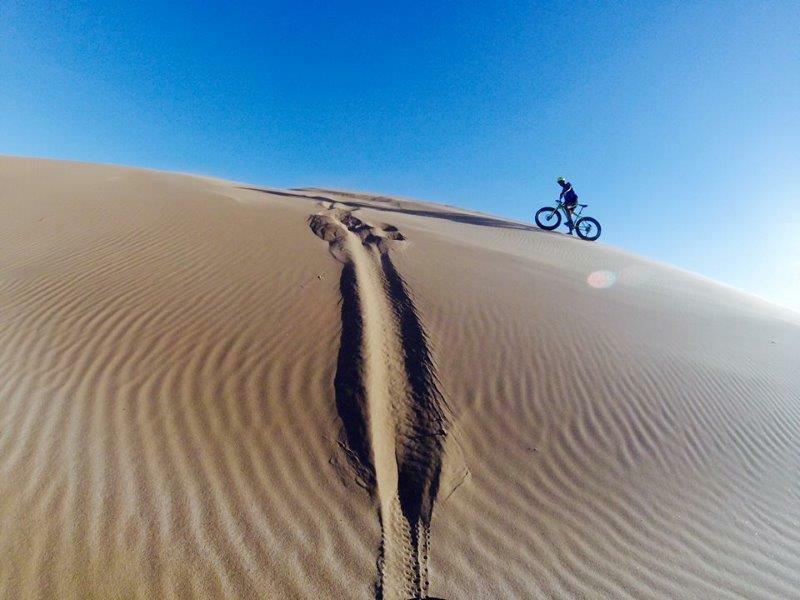 Feel the fresh coastal air, take-in the silence and breathtaking scenery of the oldest desert in the world while enjoying the thrill of cycling up and down Namibia’s famous dunes. 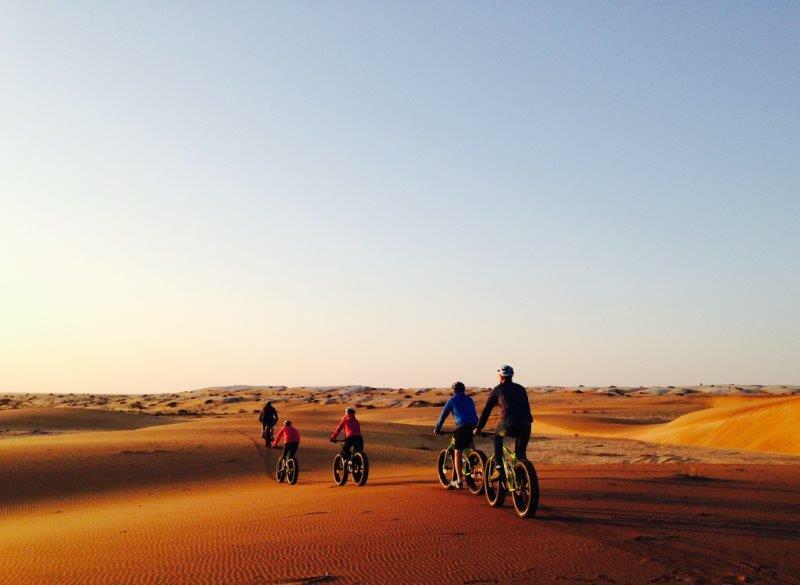 Guaranteed to excite and offer an unforgettable and unique cycling experience. 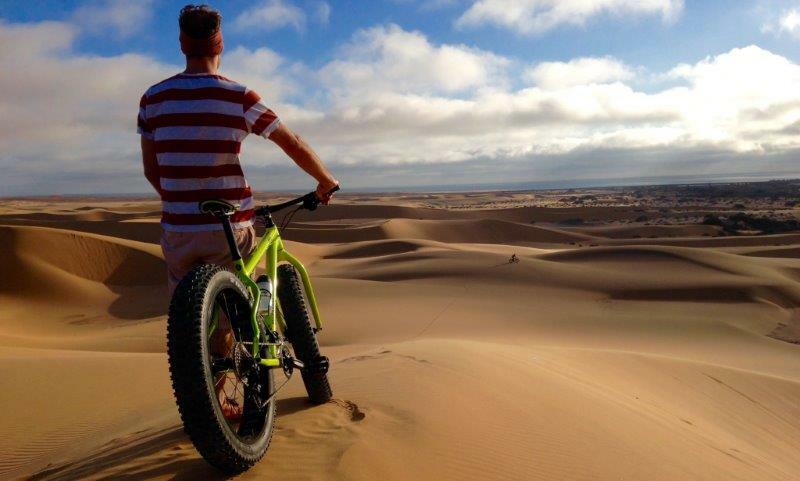 A Swakopmund must for both the scenic appreciator and adrenalin seeking adventurist. 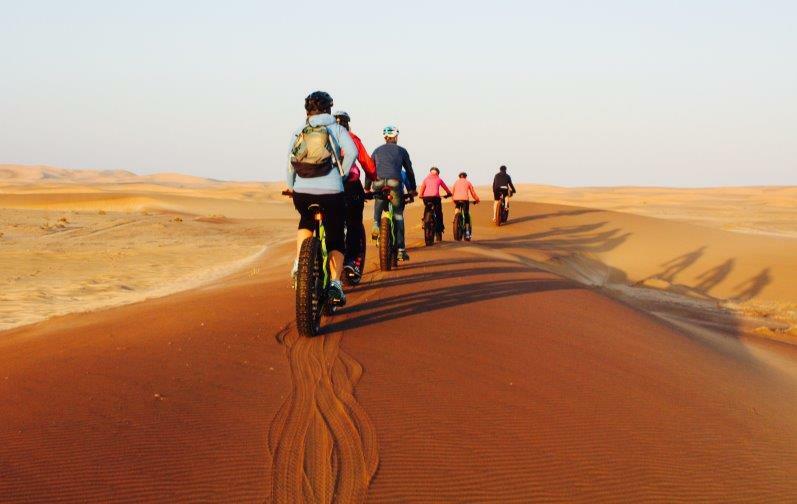 3 tours to choose from for all levels of fitness. 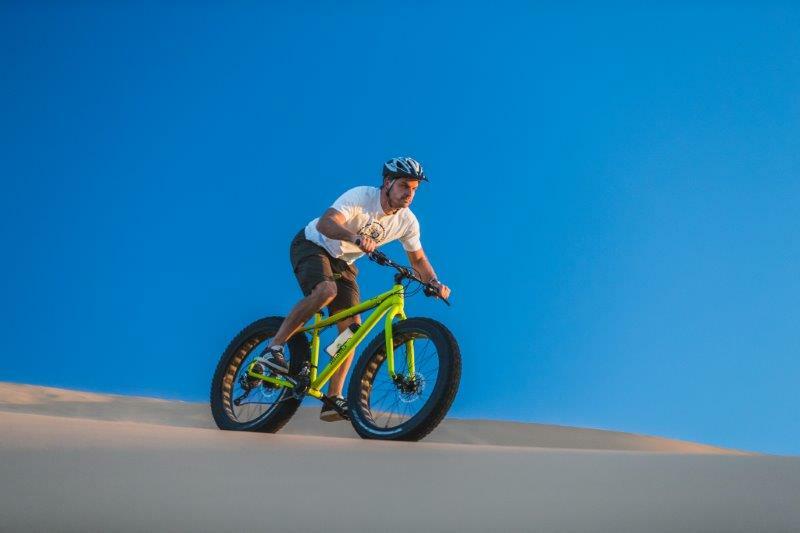 No air or noise pollution and shallower tracks than even footprints makes Fat Bike Touring the most ecological way to explore our desert’s delicate habitat. 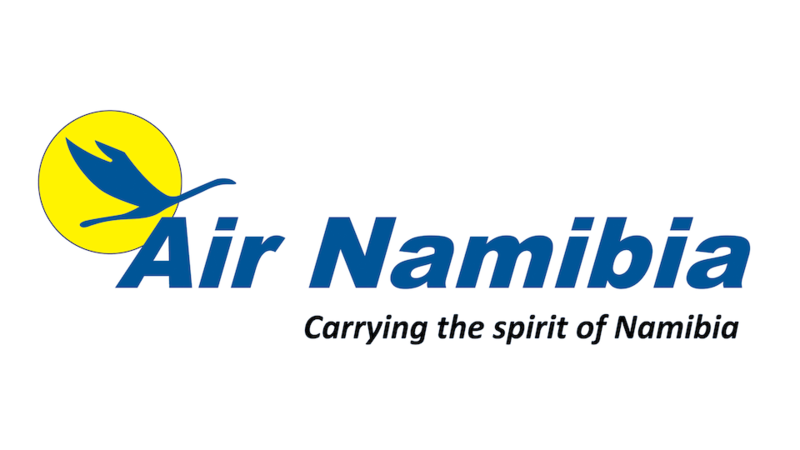 ±2hrs. 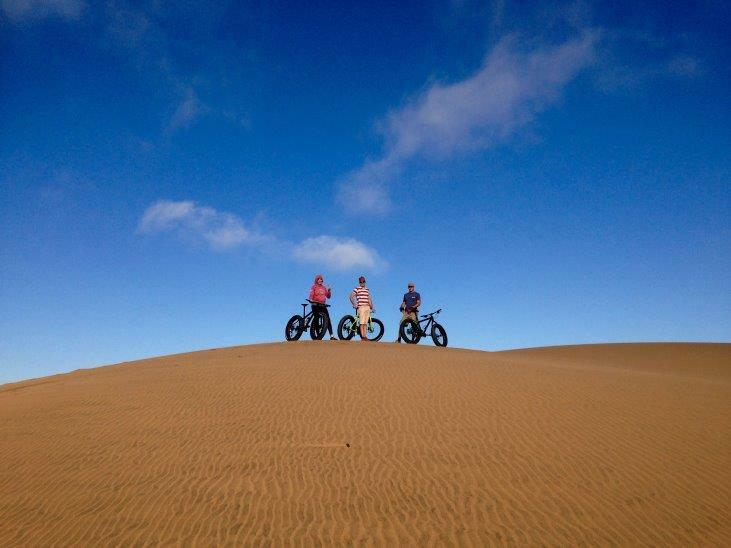 (Min of 2 people): This is a unique ‘must do’ Swakopmund experience. 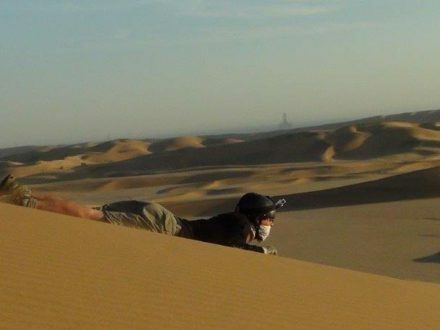 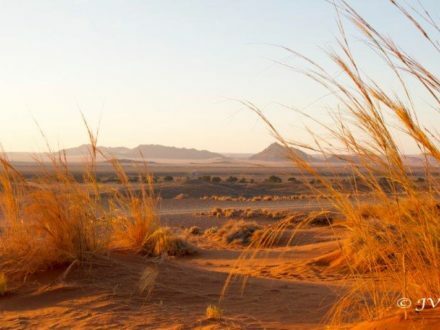 You get to experience the breathtaking scenery of the oldest desert in the world in a fully ecological way without noise or air pollution and even riding up along the top of Namibia’s famous dunes from which you will enjoy once in a lifetime views of desert, sea and Swakopmund.. 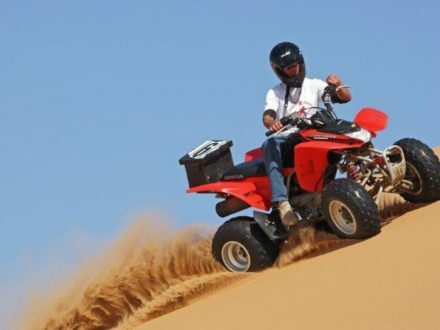 This tour is for both the scenic appreciator and adrenalin seeking adventurist. 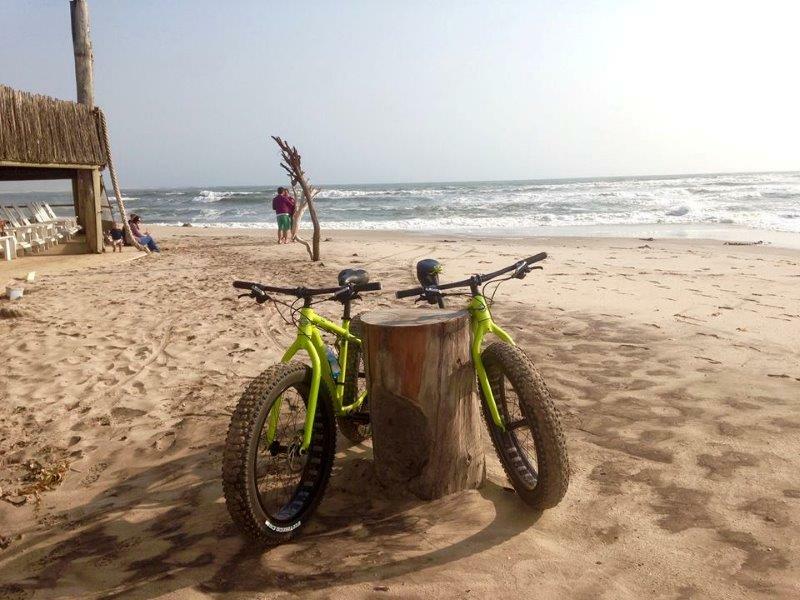 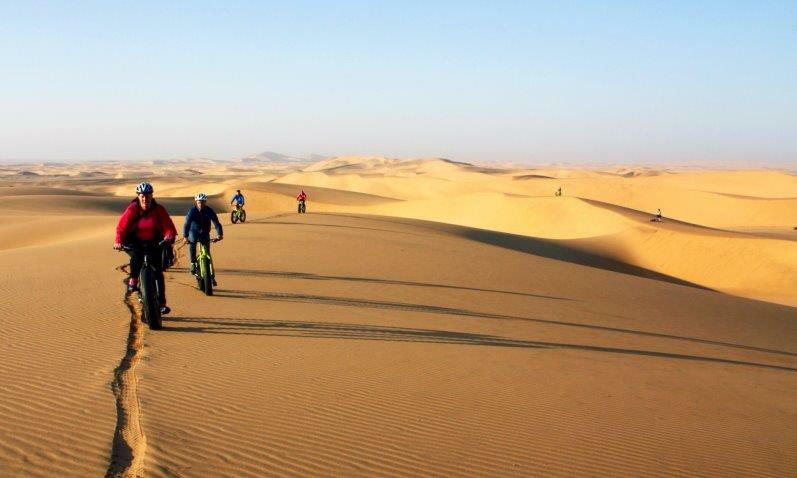 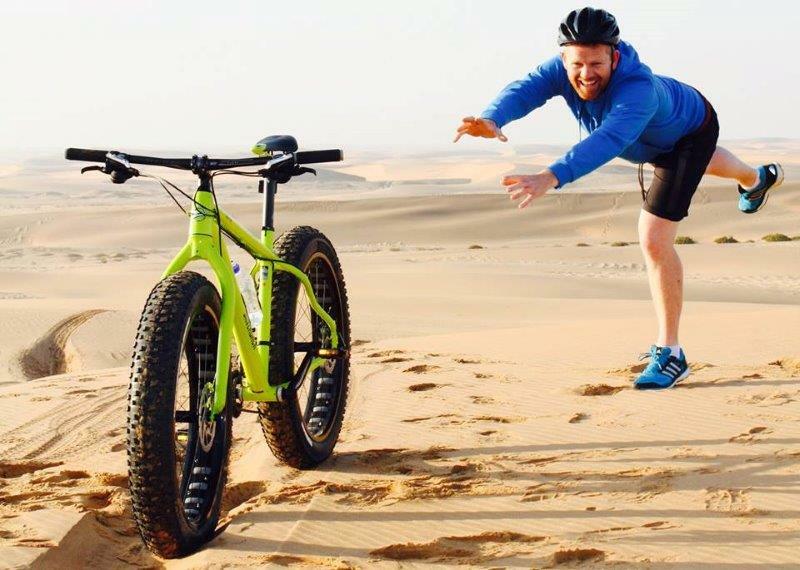 The scenic desert tour is around 12 – 14km long and includes cycling from Swakopmund town centre, along the dry Swakop river bed and up and down stunning dunes.